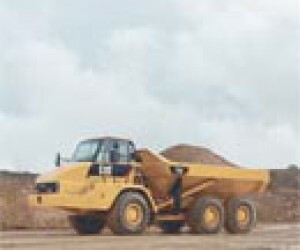 Equipment and service suppliers to the mining industry are likely to face uncertainty in the sector in 2013, if a forecast by JSE-listed distributor Barloworld is anything to go by. While it has reported an 18% increase in revenue to R58.6 billion for the year ended 30 September, the going was about to get tougher as the Caterpillar distributor was facing “a challenging mining environment”, warned chief executive Clive Thomson. “We have seen signs of a slowdown, especially on the contract mining side. There will be some slowdown; the question is to what degree and how quickly the commodity cycle will come back,” he added. Thomson had referred to the slowdown in Chinese growth and a subsequent softening in commodity prices as other inhibiting factors. He said Barloworld’s mining deliveries were likely be lower than the record levels seen in 2012, as some mining groups were deferring capital expenditure. The operating profit was up 31% to R2.98 billion, compared with the previous financial year as further inhibiting factors.